Many shoppers on Black Friday Cyber Monday (BFCM) buy products without any knowledge of the brand. Unfortunately, this means if you do not keep them interested they may forget about your business. Turning these BFCM shoppers into repeat customers can affect the profitability of each customer. Over time, acquiring customers will cost less, buy more, and build a trustworthy connection with your business. This, in turn, increases word of mouth sales. Sharing your brand story from the very first email you send them is an effective way to develop a relationship. While you do not need to send the first email immediately, it is important to create a welcome email for all of your BFCM customers. This way, you can easily send it out a few days after their sales. In fact, there is a 42 percent open rate for welcome emails according to Omnisend. Rather than blasting new customers with promotion emails, keep them more engaged with a welcome sequence over time. Welcome emails can include educational content, entertaining content, customer stories, content curation, brand culture, etc. 1. Send a thank you note or email. A few days after Black Friday/Cyber Monday, consider contacting customers with a personalized message. The best chance for standing out are handwritten notes, however, another solid option is email. 2. Utilize gift cards, coupons, and discounts. 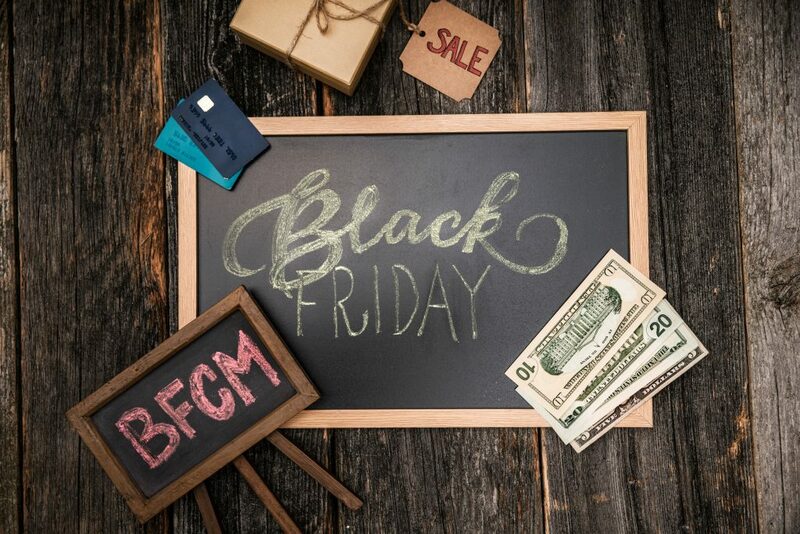 Offering a free gift card, coupon or discount is a straightforward way to get BFCM customers back to your store. The best time to send these is after your customer has received their order. 3. Stand apart from competitors by being proactive. Many businesses wait until a question or issue arises before assisting their customers. Be proactive by asking if they have questions or concerns, how their experience was, or if they need assistance with assembling the product. This can be accomplished with an automated email. · Write and highlight FAQs to provide customers with options for answering common questions. · Hire temporary help during this busy time of year. · Route priority emails or enable live chat so you can respond quickly to the most important issues. · Anticipate the issues by reviewing historical requests during busy periods. · Establish workflows and processes for your support staff to follow. · Outsource customer service. During this time of year, consider outsourcing support for your eCommerce brand. 5. Respond to new customers through social media. While not many brands do, engaging with customers after their purchase through social media is worthwhile. Ask your customers to tweet or use a hashtag with an image of their product purchase. This provides an opportunity to engage with them and make them feel unique.